1. Significantly reduce global military spending ($1739 billion in 2017), as agreed when the United Nations was founded, and channel resources toward improving health (physical and mental); strengthening education; countering the effects of climate change and preserving global biodiversity; and working to eradicate poverty. 2. To that end, significantly reduce the production of guns (an estimated 1 billion are in global circulation and millions more are added annually), destroy surplus stocks of guns and ammunition, and implement stricter gun laws. Such laws could include removing guns from domestic violence abusers, implementing strong and universal background checks, banning high-capacity magazines, ensuring law enforcers only fire bullets to stop an attacker whose violence directly risks causing an imminent death, and banning military style assault weapons for purposes other than lawful use in armed conflict. 3. Exert strict control over the international trade in arms as well as ammunition, which give guns their deadly force--in recognition that this poorly regulated trade greatly fuels crime, violence and conflict. 4. 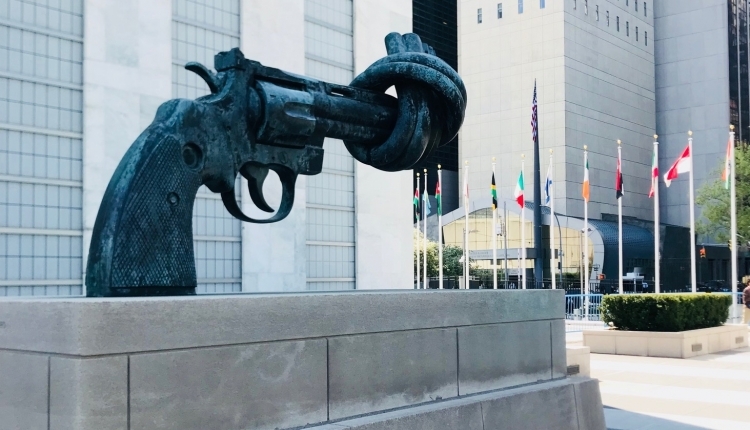 Ratify and fully implement both the Arms Trade Treaty regarding conventional arms transfers and the Treaty on the Prohibition of Nuclear Weapons, and commit to achieving a nuclear-weapons-free world. 5. Include youth in peace processes through the implementation of peace and disarmament education programmes to prevent conflict and violence, both overt and structural. These steps will help to achieve the 17 universal Sustainable Development Goals (SDGs) of the 2030 Agenda for Sustainable Development that UN Member States unanimously adopted. These steps will also help to support United Nations Security Council Resolution 2250, which highlights the importance of youth as agents of change in in the maintenance and promotion of peace and security. Please join us in calling for greater global arms control and disarmament! The Global Youth Petition on Arms Control petition to Global Governments was written by IANSA Network and is in the category Youth at GoPetition.